Tamborine Health Services was founded by DiH Health & Wellbeing Pty Ltd owner, Diane Hickey, following Government changes in 2016. Mid 2016 the Gold Coast Primary Health Network indicated services provided by Tamborine Mental Health Nursing Services would be tendered out as part of a re-organisation of services. Diane and her team of Credentialed Mental Health Nursing were providing comprehensive community based services to people with mental health problems since 2011. Diane continues to provide under Medicare as a Credentialed Mental Health Nurse (www.tmhns.com.au). Tamborine Health Services have assisted people with disability to apply for an NDIS plan. The NDIS is complex and they have developed comprehensive knownledge of the NDIS. They remain hopeful and committed as they know the NDIS has created a wealth of opportunities for people with disability to lead a more fulfilling life. According to Diane “It is an exciting time for us and we are thrilled to be able to ensure people get a timely, high quality, person centred service. 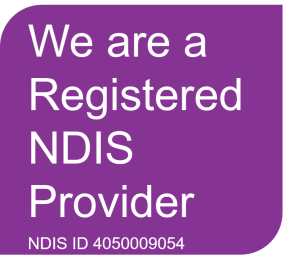 We are very familiar with how to access the NDIS and are happy to help people with this process”. Call or email our friendly and dedicated team on 1300 663 119 or email: [email protected]. We will be to offer care co-ordination/connection in the near future. Our understanding of the health system, knowledge of service provider and connection with local health providers can ensure easy access to the specialists services you require and so that you get the best possible outcome.